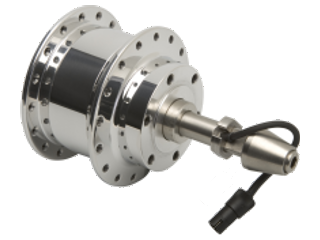 SON XS-M dynamo hubs allow you to charge your lights or USB-powered devices on your recumbent trike as you ride. Brand-specific versions are available for HP Velotechnik, Anthrotec/Greenspeed, ICE Trike/Toxy, and Catrike (requires adapter). All versions are compatible with 6-bolt ISO disc brakes and Recumbent Trike Kingpin axle.